Our goal at Hearts & Homes is to provide top-quality services to those individuals and families we support. We are available 24 hours-a-day, 7 days-a-week, committed to meeting the needs of those individuals and families under the care of our agency. We pride ourselves on our devoted, attentive, and enthusiastic employees who firmly believe in our agency and are wholly committed to upholding our mission. At Hearts & Homes, our core values are rooted in three key principles: Quality Service, Facilitating Personal Growth, and Respect for Others. Quality Services: We commit ourselves to providing unparalleled services and support to every individual and family in a responsible manner. We are committed to operating ethically, with integrity, and in full compliance with the letter and spirit of all laws and regulations. Personal Growth: We feel every individual deserves a measure of control and direction over his/her own life, and each has unique needs and wants. We believe personal growth is directly attributable to one’s experiences and opportunities, and our agency is committed to facilitating the personal growth of every individual in their efforts to reach their full potential. Respect for Others: We believe that every individual is a person of worth and deserves to be treated with dignity and respect. We hold our unwavering professionalism to be of the utmost of importance in working with all those with whom we come in contact. Hearts & Homes, LLC was founded in July of 2011 by Jessica Powers. 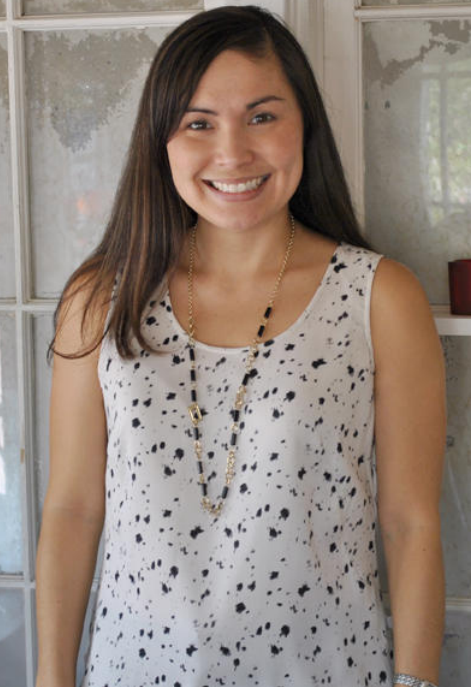 Jessica obtained her Bachelor’s Degree in Social Work from Arizona State University and was later awarded a Master’s Degree in Marriage, Family and Child Therapy from The University of Phoenix. As an undergraduate student at Arizona State University, Jessica was employed as a Direct Support Staff, working with children and adolescents diagnosed with Autism. Upon the completion of her Bachelor’s Degree in Social Work, she accepted a position with a Phoenix-area agency in its Developmental Home Program. After two years in this position, she was promoted to Program Coordinator, managing Developmental Home operations. After attaining her Master’s Degree in Marriage, Family and Child Therapy, Jessica accepted a position with another Phoenix-area agency, expanding her experience managing and supporting licensed developmental homes. She has extensive experience working with children and adults with developmental disabilities having worked in this field for over thirteen years. Jessica is married and has two young children. She enjoys spending time with family and friends, hiking, and reading. Rebecca graduated from MidAmerica Nazarene University with her Bachelor’s degree in Psychology and a minor in Sociology. After graduating with her Bachelor’s Degree, Rebecca accepted a position as a Behavioral Health Technician for a local agency where she provided counseling and direct care services for individuals living in a residential setting who were diagnosed with severe mental illness. She obtained her Master’s Degree in Clinical Mental Health Counseling in October of 2017. Rebecca comes to us with a lot of experience and knowledge in the field of Developmental Homes as her parents have been licensed Child Developmental Home providers since 2007. Rebecca was recently married and lives in the West Valley with her husband and their two dogs, Ellie & Penny. Gayla received her Bachelor of Science degrees in Psychology and Human Development and Family Studies from Colorado State University in Fort Collins, Colorado. She holds inter-disciplinary certificates in Women's Studies and Criminal Justice with minors in Sociology, English and Social Work. She is a member in good standing of Phi Beta Kappa. Gayla served as Executive Director of the Refugee Relocation Committee in Fort Collins, Colorado, as a founding member of Hospice of Fort Collins and Bereavement Counselor, Deputy Juvenile Probation Officer and a Crisis Counselor for the Women's Shelter of Fort Collins. Gayla was a Club and Project leader for Sunset Riders 4-H Club for 10 years, coached T-Ball for five years and served as President and Vice-President for Moore School's PTO. She and her husband of 43 years owned and operated a construction company for more than thirty years before moving to Arizona in 2004. She worked as a direct care provider and manager in a group home for adults with developmental disabilities for nine years and has been an ADH provider in Colorado and Arizona since 1999. She has worked in the field of Child and Adult Developmental Home licensure since 2005 and joined the Hearts & Homes team in June of 2012. Gayla Haakinson is the mother of a son and daughter and the grandmother of three. Gayla's hobbies include reading, working crossword puzzles, playing computer games and spending time with family and friends. Kristy was born and raised in Phoenix, Arizona. She graduated from Alderson Broaddus University in West Virginia with a Bachelor’s degree in Psychology and Family Studies. She returned to Arizona where she began working in the behavioral health field as a High Needs Case Manager and a Transition to Adulthood Specialist. She had also worked as a Licensing Specialist for family foster homes and therapeutic foster homes for two years. Kristy is passionate about helping others and working directly with people. She enjoys working out, sports, traveling, baking, and spending time with family, her boyfriend, and their two dogs, Shiner and Bentley. Morgan graduated from Iowa State University in 2013 with a Bachelor’s degree in Child, Adult and Family Services, and moved from Minnesota to Arizona shortly after graduation. Once in Arizona, Morgan worked in the Mesa school district as a teacher before transitioning to behavioral health, working as a Clinical Care Coordinator at a health care agency with at risk children and their families. Morgan also previously worked as a Direct Support Provider for both children and adults with developmental disabilities, and is passionate about working directly with members and their families. Morgan loves to be outdoors, going hiking, traveling, enjoying visitors from Minnesota, and spending time with her dog, Lucy. Kaley was born and raised in Glendale, AZ. She graduated from St. Norbert College in De Pere, WI with a Bachelor of Art in Psychology while also lettering in Div III Women's Ice Hockey. She then went on to obtain her Master of Science in Professional Counseling at Grand Canyon University in Phoenix. Kaley started off in the behavioral health field as a High Needs Case Manager for children and families with unique needs. She then became a Licensed Associate Counselor and began to work with children and adults in a counseling role. Kaley is passionate about working with people, creating true connections with the people she serves, and learning new realms of the behavioral health world. In her spare time she works as an Associate Coach for the Arizona State University Women's Ice Hockey Div I Club team and enjoys giving back to the game that taught her so much. She is married to her husband, Michael and loves spending time with her family and two huskies, Whiskey and Bourbon.